I'm always amazed at the prevalence of misconceptions regarding issues of foreign exchange (FX) among American companies considering - and even active in - export markets. For some reason FX is accorded a mysticism which discourages US companies from even investigating what options they have. Clearly the USD is widely traded - it's a currency which many buyers worldwide can access and use to pay for products you sell them. But doesn't it stand to reason that the more flexible you can be as a seller, the more desirable you'll be to a buyer? And if you can do that with minuscule or no additional risk and an equal cost impact? Although some "export experts" perplexingly insist it's dangerous territory, almost every SMB can manage foreign currencies and substantially grow their business in the process. Sure you've heard this tossed around in news reports about all sorts of crazy sounding financial antics. Granted, some applications of hedging and some financial "products" that use the term in their name are undesirable. At it's core, though, the idea of 'hedging' is no more than buying some insurance. And you already hedge. If you're going to receive a big order that will require purchasing some component or raw material, and you hear of a pending price increase, you may well elect to order it in advance, and perhaps negotiate an opportunity to cancel under certain conditions if your expected order doesn't materialize. That's good business sense, right? Well then why would doing precisely the same thing with foreign currency be crazy, dangerous or too complicated for you as an American business? 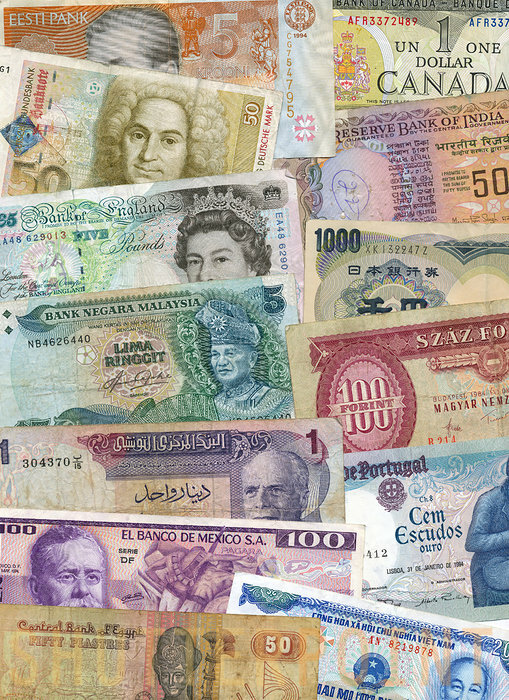 Currencies are like any other item you purchase for your business which has a price that fluctuates up and down. But unlike the diesel for your trucks, the electricity for your factory or your steel, paper or plastic, the FX markets are designed to let you easily 'lock in' prices for predictability in your business. Going to receive an order that won't actually ship for a couple months and then be paid after that? Worried about protecting your margin if the exchange rate fluctuates? Then agree today with your bank on the price they will pay you, in USD, for that currency in the future. It's that simple. You know exactly what the rate will be and lock in your margin. Is this expensive? NO! If you have the right bank partner this should take you all of 3 minutes and cost you approximately .75%. Feeling adventurous? Do it all on-line yourself - whenever and from wherever. And with that simple and inexpensive step you can become a more desirable supplier to the globe's prospects for your products/services. It's probably no newsflash....but the world's a pretty competitive place. Give yourself every advantage you can! Then take it a step further. For only a little more you can purchase foreign receivables credit insurance. With that you can comfortably extend account terms to your buyers overseas - with almost less risk or concern than you do domestically. You win - forget about the expense and massive hassle of L/Cs - and your customers win. With these simple steps you can establish yourself not as a source of "Made in America" products that is appealing but difficult to deal with, but rather as a savvy, flexible and desirable global business partner. That's what real, sustainable and profitable international business development is about. Want to learn how you can easily take your company to the next level? Contact Consilium Global Business Advisors today. And download our free eBook for more background in FX and your global sales.